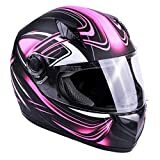 Motorcycle Helmets for Women Reviews: How to buy the right one? Many companies have made the designs and colors of their motorcycle helmet more feminine, as many women have started owning and riding motorcycles. Before, the majority of helmets are made with the idea of guys wearing it, but now, women can easily pick helmets that suit their taste. While there are still tons of helmets that are suited for both males and females (especially the classic black matte), these helmets are created for the size of males, which is slightly larger than the size of females. Remember that the most important thing about getting a motorcycle helmet is not about the design, but the perfect fit and level of protection. If you’re looking for the perfect helmet, there are some factors that you need to consider. Buying a helmet is not like picking elbow and knee pads, as the helmet is one of the most important safety gear that should be worn when riding a motorcycle. It requires a bit of searching and trying. 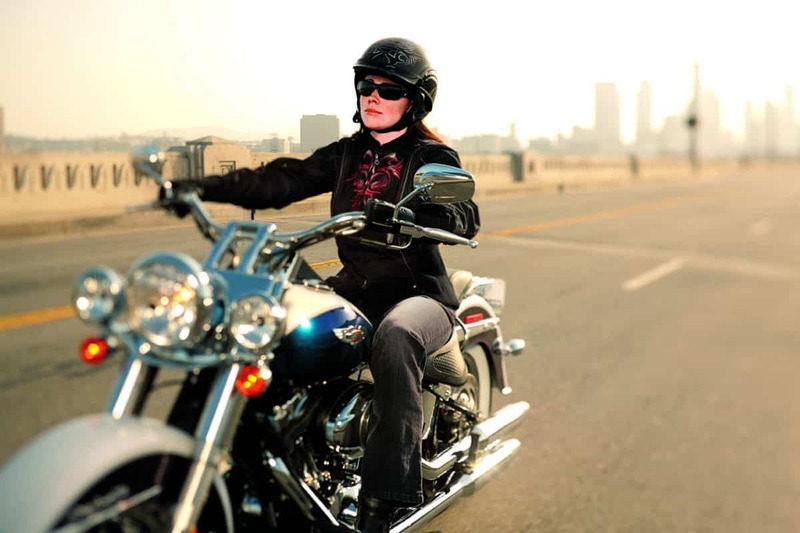 What are the factors to consider when buying a motorcycle helmet for women? There are a few important factors to consider when it comes to purchasing the best motorcycle helmet for women. Helmets shouldn’t be based solely on the design and color but it should focus more on the fit, comfort, and protection it can provide. DOT Certification – This is one of the most important factors to look for in a helmet. Make sure that it has the DOT, stands for Department of Transportation, certification, which makes the helmet perform as it should. Having this certification means that your helmet has a significant amount of impact energy, it prevents penetration, and has a fastening system that can withstand force. You’ll know that your helmet is DOT certified if it has a DOT Standard sticker behind the helm. Before a manufacturer can successfully sell a helmet, they should first seek DOT’s approval, so that wearers are sure that their helmet is sufficient and strong enough to protect their heads. Should fit snugly on your head that when you try to shake or nod, it wouldn’t budge. It should grip your cheeks as well as the top of your head. The GLX Whisper helmet comes in different sizes, small to extra large, it has a fully removable and washable liner, soft and comfortable interior, and good ventilation system. Helmets with these features make wearing it for long hours more comfortable. Not to mention, safe. Comfort – As mentioned before, you will probably wear your motorcycle helmet for hours at a time, depending on the nature of your travels, so make sure to get one that is the most comfortable. Some find the half helms much more open, and therefore air easily goes in and out of the head for good ventilation. These half helms still provide great protection (provided that it is DOT certified). Although they are rather a bit smaller than the full-face motorcycle helmet, this is much more comfortable to wear and is good if you’re going for short rides. Is made of advance polycarbonate composite shell and gives superior fit and comfort using advanced CAD technology. It has a manual integrated retractable sunshield that is removable. Underneath the shell is a lining made of moisture-wicking and odor free anti-bacterial fabric. This lining is removable and washable, great on hot days when you sweat a lot. Like most helmets, the HJC comes in several sizes starting from extra small to 2x-large. Design – The design is the least that you should look for when it comes to helmets but if this is very important for you, don’t worry, as there are tons of DOT certified helmets for women in great designs. There are helmets that don’t only focus on protection, but it also has a say when it comes to style. Is a really pretty DOT certified helmet. It comes in white matte with pink butterfly and flower designs. It will truly touch those who are very feminine and would like this to reflect on their gears. Key Takeaway: The safety feature of the motorcycle helmet is the most important factor to be considered when getting one. Make sure that it is DOT tested and certified, this way you can fully rely on your helmet during dire times. The fit and the size come next because a good fit adds to the protection. This way, you can be certain that your helmet won’t abandon you when there are sudden impacts. Does the price matter when it comes to motorcycle helmets for women? Price doesn’t really have a large impact on a helmet. It just increases based on the materials used and other features it may have such as ventilation, design, top of the line cushion and lining, and high end visor. Most DOT-certified helmets are already good as it is, and they don’t cost more than a hundred bucks. Most helmets also come in similar materials, usually a lightweight composite shell that is effective at shock absorption and doesn’t break easily during high impact. When looking for the most effective motorcycle helmet, the important things to look at are its safety capabilities, size and comfort. The price is just secondary. 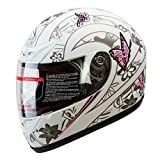 Make sure to get the best motorcycle helmet for women based on the protection it can give, the perfect size, and the best fit. These are the main factors that you should consider before purchasing. You don’t have to worry about finding the one for you, as there are tons of motorcycle helmets designed for women.